Brian and I always make a stop at Meisner’s Farm Stand in Hudson, NY on our way up to the farm or when we’re headed back to the city. This past weekend we decided to check in and see what they had available (our first visit of the season). 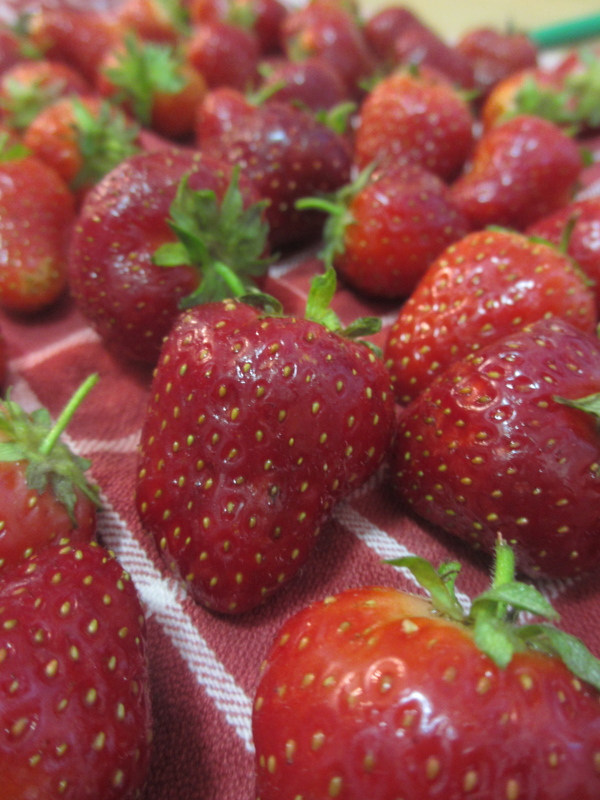 It’s still a bit early for their typical offerings, but we were able to pick up some beautiful strawberries. Though it was hard not to eat them all up on the drive home, I was able to save them for a new project. 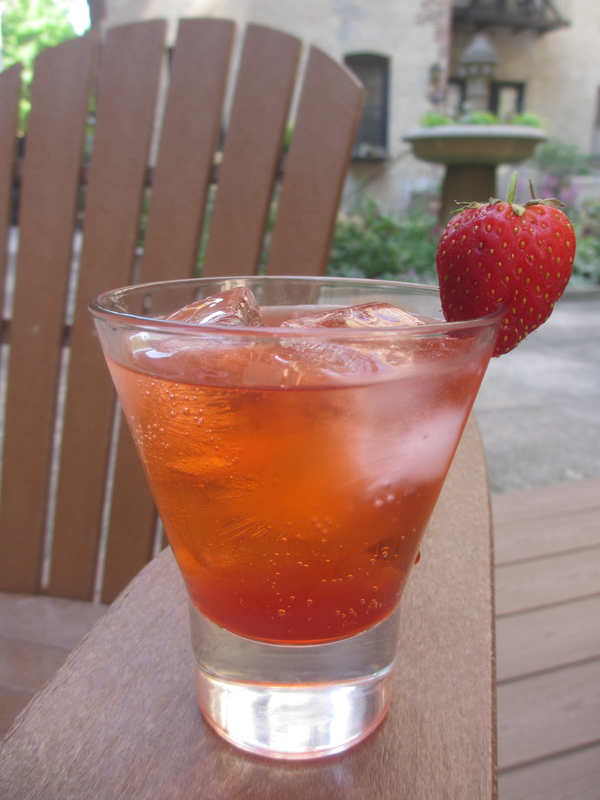 I’ve been craving a strawberry syrup to add to homemade sodas, cocktails and more. But, I wanted something that didn’t have a ton of unnatural ingredients (I’m looking at you red dye no. 40). I came up with the recipe below and I’m quite pleased with the outcome. 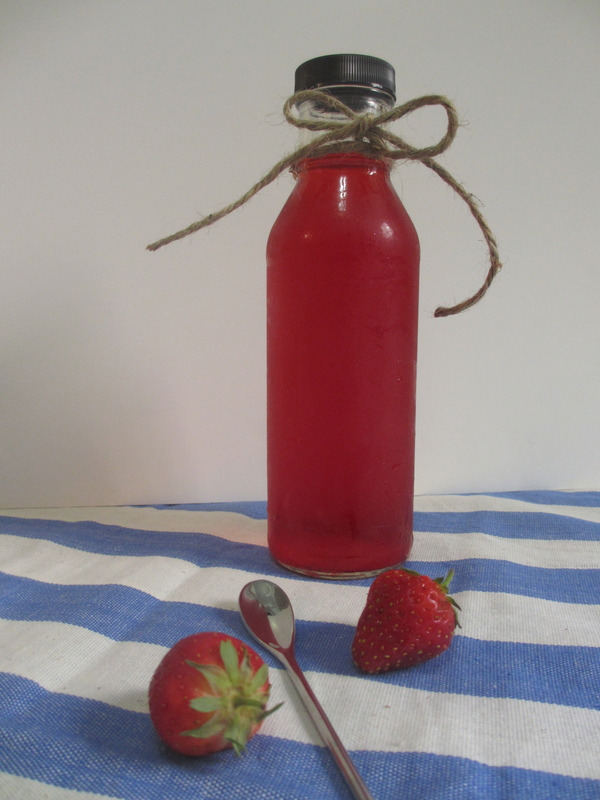 The strawberry flavor really shines through and I was able to balance the flavor with much less sugar than I would have expected to use (you may need more or less sugar depending on how sweet the strawberries you have are). Check back soon to see what this delicious syrup ends up in and on. 1. Hull and quarter the strawberries, discarding any that are bruised. Place in a medium saucepan and top with water until the berries are just covered. Bring to a boil over medium, then reduce to a simmer and cook for 20 minutes. 2. 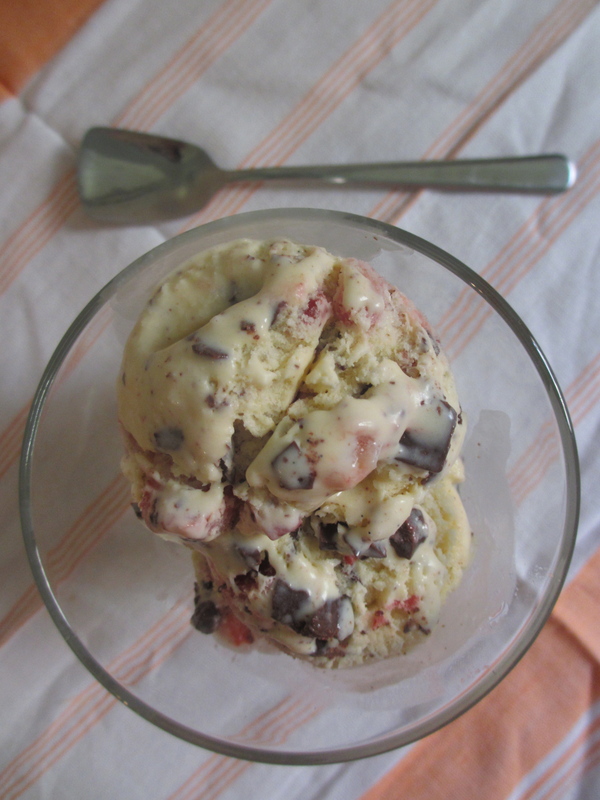 At this point, the liquid should be reddish in color and the strawberry pieces should be quite pale. Pour the berries and liquid through a strainer and discard the flesh of the fruit. Return the red strawberry water to the pot and add the sugar. Add more sugar if the berries you’re working with aren’t very sweet. Cook over medium, stirring occasionally, until sugar is dissolved and syrup has thickened, about 5 minutes. Taste and add more sugar if desired, making sure to cook until anything else you add is also dissolved. Let cool completely then transfer to a jar or bottle and store in the fridge. SWWU Tip: I haven’t had a chance to try this yet, but next time I whip up a batch of simple syrup I’m going to use some of our homemade vanilla sugar to add a little something extra.